Latest edition of HERIB’s Insight magazine is available! If you think you’ve been a victim of hate crime, you should report it to the police as soon as possible. 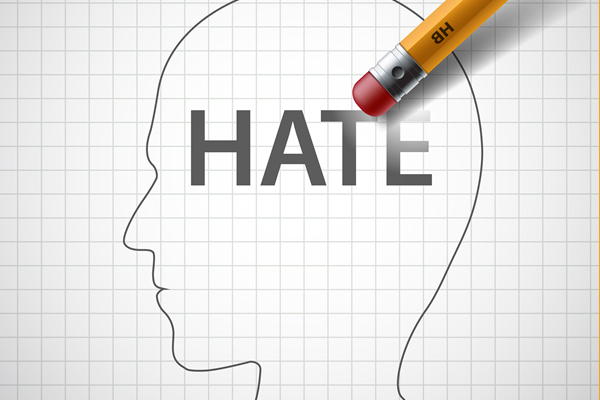 Some police forces have dedicated officers to deal with particular types of hate crime. By reporting it when it happens to you, you may be able to prevent it happening to someone else. You will also help the police understand the extent of hate crime in your local area so they can respond to it better. If you do not want to go direct to the police, you can also report the crime online by clicking here. In August 2017 the Crown Prosecution Service (CPS) has published new public statements on how it will prosecute hate crime and support victims in England and Wales, to view these statements, please click here. Amid rising volumes of reports to police, the CPS consulted community groups and criminal justice partners to produce these revised statements, covering the different strands of hate crime: racist and religious; disability; and homophobic, biphobic and transphobic. In addition to the public statements, the CPS has also today published revised legal guidance that sets out how prosecutors should make charging decisions and handle these cases in court. In recognition of the growth of hate crime perpetrated using social media, a commitment to treat online crime as seriously as offline offences, while taking into account the potential impact on the wider community as well as the victim. For the first time, CPS policy will acknowledge that victims of biphobic hate crime have different experiences and needs to victims of homophobic and transphobic offences. The CPS recognises it has a responsibility to actively remove barriers to justice for disabled victims and witnesses, ensuring they get the right support to enable them to give their best evidence.